Handmade samurai sword with high carbon steel blade. Comes sharpened by hand. True ray skin handle with black nylon wrapping. All metal guard and fittings. Hardwood scabbard has been hand painted with a flurry of Crane artwork. Includes matching display stand with red velvet liner. Measurements: 26 1/2 in. blade, 40 1/2 in. overall. 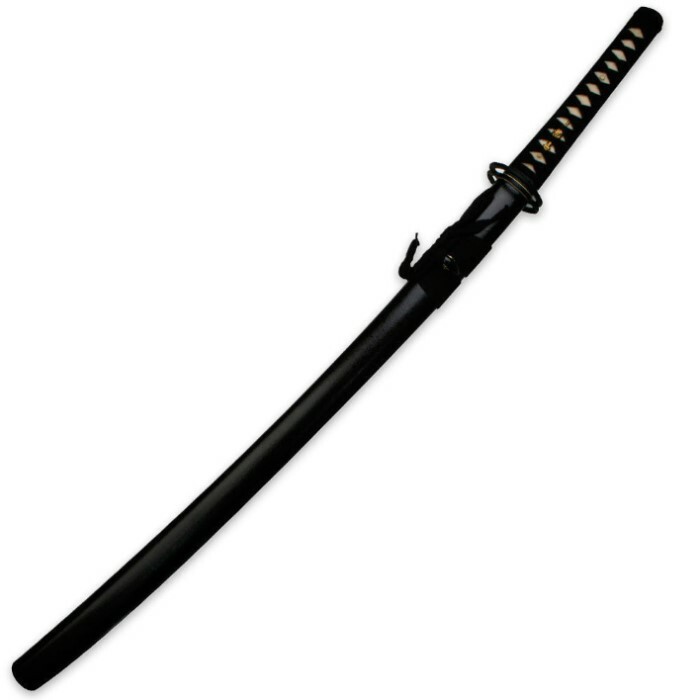 Abounding with scrupulous attention to detail, this Ten Ryu Japanese Katana sword features a hefty 26.5” blade of hand-forged 1045 high carbon steel. 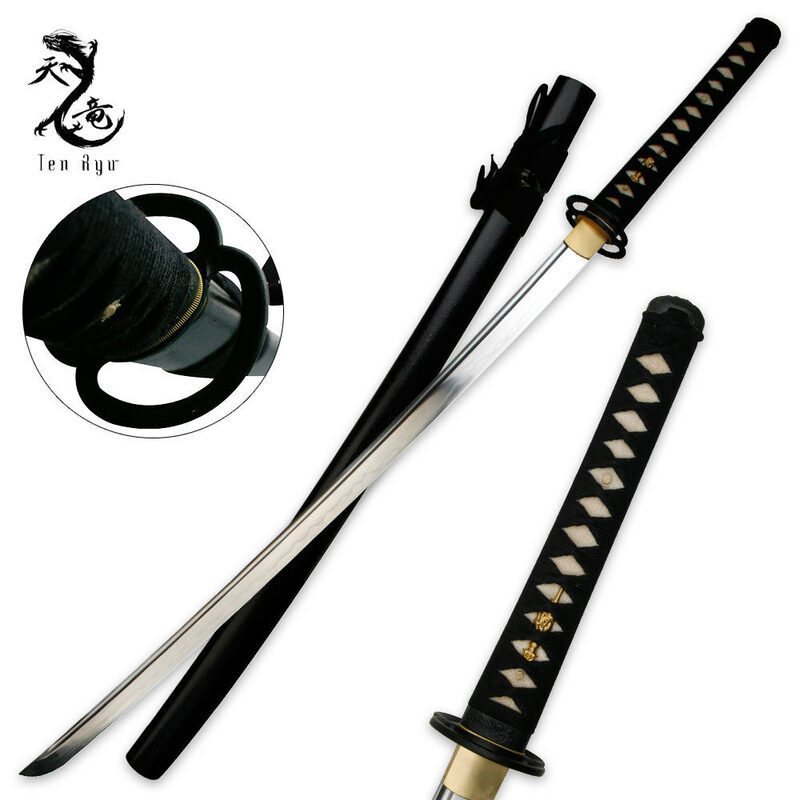 This traditional design offers a heavy blood groove spanning the massive blade and a hand-sharpened edge that will slice with ninja precision. Ornate details such as the cast Musashi tsuba and genuine ray skin tsuka (handle) with heavy cord wrappings make this fully functional collectible a prized showpiece among sword collectors. The hardwood scabbard has a high-polished lacquer finish to match the sword seamlessly. It comes to you with a cloth sword bag and cleaning kit to keep this treasure in pristine condition. This sword is well worth the money the hamon is authentic. Along with the clay tempering did its job, the same is authentic as well. every thing is tight and secured. BEST USES DISPLAY, RECREATION,SPARING,AND PROTECTION I WOULD RECOMEND THIS TO ALL MY FRENDS.